I’m thrilled with this beautiful bed skirt and the entire Crosswoods ensemble! Each piece was perfectly represented on the Overstock website in terms of color and quality, they were delivered promptly, the quality is outstanding, and the price was super reasonable. The set looks smashing in our bedroom! 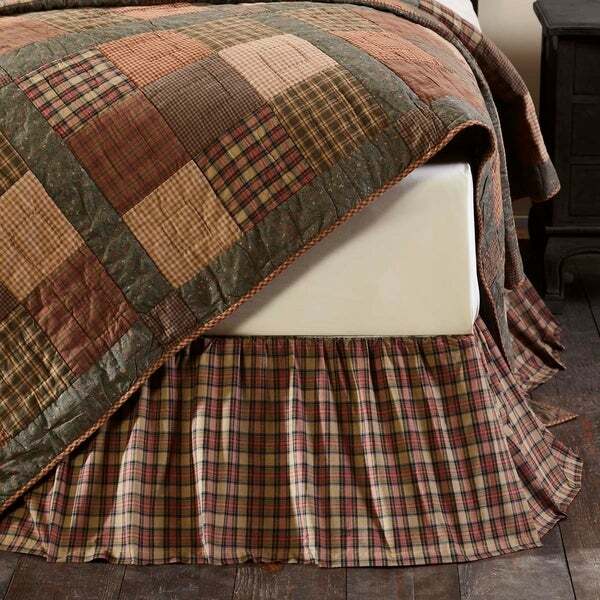 The Crosswoods Bed Skirt matches a tan, blue, green, and red plaid found in the quilt patchwork to complete your bedding ensemble. 100% cotton, finished with split corners. Just the right length. I love the color! It matches the prior order.